The Green Sanctuary: What is Pterygium and Pinguecula ? 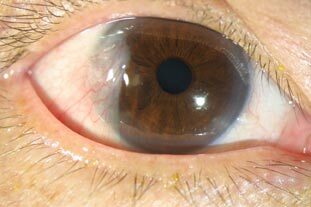 What is Pterygium and Pinguecula ? A conservative approach is recommended for most people. Artificial tears may provide comfort, relieving the sensation of a foreign body. 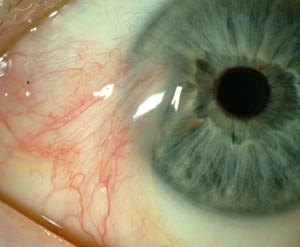 Occasionally, a lesion becomes mildly inflamed; in this case, a mild optical decongestant or, rarely, an anti-inflammatory agent may be prescribed. 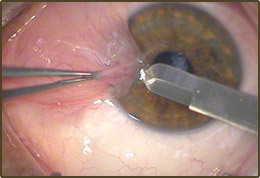 Surgery is the only way to remove a pinguecula or pterygium, but the results can be disappointing. Even with modern techniques, the recurrence rate is often as high as 50 to 60 percent. 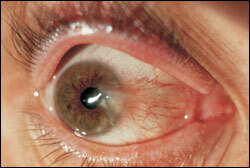 Surgery is not recommended unless a pinguecula or pterygium is causing significant problems.